The Indian pharmaceutical company Serum Institute says its pneumonia vaccine will be ready for sale in developing countries by 2020 at a fraction of the going price. This places Serum in direct competition with two Western drug manufacturers, GSK and Pfizer, which have dominated the aid- financed pneumonia vaccine market for the last decade according to a story written by Ann Danaiya Usher in Development Today obtained by Health Reporters. 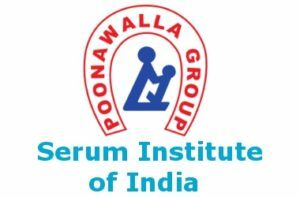 The Executive Director of the Serum Institute of India Suresh Jadhav tells Development Today that his company is currently undertaking clinical trials of its 10-valent pneumococcal vaccine in Gambia, financed by the Gates Foundation through the global health organisation PATH. The results are expected by the end of this year. The Indian firm plans to have a marketable product by the second quarter of 2020 at a starting price that will be 40 per cent less than the lowest global price. As volumes increase, the price will drop further, he says. “If things go as we envisage, we may become the first supplier of pneumococcal vaccine from the developing world,” Jadhav says. Serum Institute is aiming to sell its new product in developing countries through the vaccine alliance Gavi. Currently, Gavi buys all its pneumococcal vaccine from the two existing suppliers, GSK and Pfizer; Pfizer producing a 13-valent version and GSK, a 10-valent vaccine. The entry of a new supplier could potentially save Gavi hundreds of millions of dollars, allowing them to stretch their vaccine dollars farther and save more lives. It could also cut deeply into the market of GSK and Pfizer – unless they reduce their prices considerably. The two companies charge over 9 dollars for the 3-dose treatment, making pneumococcal the most expensive vaccine in Gavi’s 11-vaccine portfolio. Jadhav says that initially, if Gavi purchases quantities from Serum Institute of less than 20 million doses, the vaccine will cost around 6 dollars per treatment (for the three doses – 2 dollars per dose), which will be 40 per cent less than the current price charged by Pfizer and GSK. “If the quantities go beyond that, where we can utilize our installed production capacity to a greater extent, all the infrastructural expenses will be distributed with the higher number of doses that will be produced from the same facility. Then the cost can go down to around 4-4.5 dollars per treatment, which is 60 per cent less than the going price,” Jadhav says.